Yoga has the capacity to provide lasting peace in a hectic world. Every time you approach the mat for your next sequence of asanas there is a subtle rush of excitement. Will you finally push yourself into a headstand without the complete fear of tumbling over, and the rush of blood to your ears? Will your shavasana result in a total surrender that leads you to the discovery of your life calling? Well, you’ll never know if you always leave your mat at home. Yoga provides so many endless possibilities in stress alleviation, and confidence boosting. So, whether on a weekend camping trip, a world-wide adventure, or a trip to the park; live life fully by bringing along the perfect travel yoga mat. Below are my picks for the top 5 travel yoga mats, and alternatives, for peace on the go! For $36.99, you can receive an all-natural, biodegradable, and eco-friendly Manduka mat. These mats are highly coveted due to their strong grip onto about any surface. They also fold to fit perfectly into a suitcase, backpack, or purse. Which, if I might add, could provide for a seamless baggage check-in at an airport. 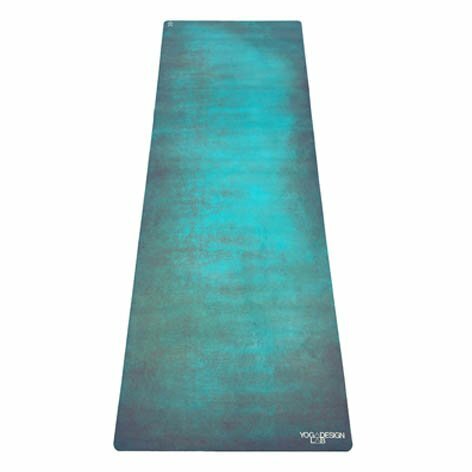 Being 99% latex free, this yoga mat will not disappoint when it comes to relaxing on the go! Although a little bit more on the pricier side, YogiOnTheGo has created something special with their Travel Yoga Mat. With a price tag of $46.79, you can choose between two stunning colors: dusty rose, or white. Built for sweat, this yoga mat is meant to hold up against the most limit testing practices out there. 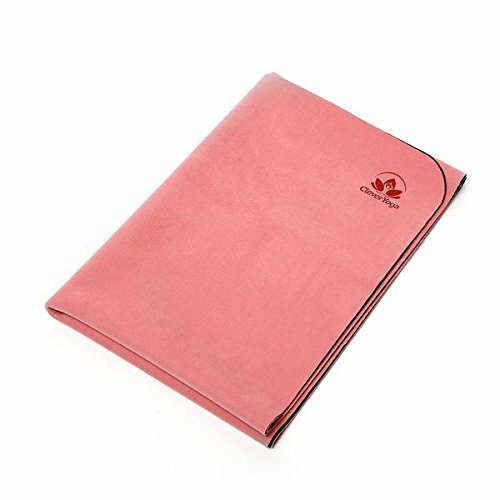 As a non-toxic, machine washable, yoga mat that weighs in at only 2lbs., this travel yoga mat was meant for an adventurous, outdoor yogi with a knack for breaking past their boundaries in the search for the ultimate level of relaxation. This mat was meant for the giving yogi in us all. With each purchase of this mat, Yoga Design Lab gives $1 towards supporting youth yoga programs in need! Imagine what you’ll not only be giving but receiving when you help a child find the same peace, and acceptance that you found on your mat. For $49, you get a choice between eleven bright, colorful, and eye-catching designs with names like Kaleidoscope and Breathe, which seem to embody the very mat it names. Not only that, but you get a grip that only gets better the sweatier you get. Wishing for a multiuse yoga mat? Look no further. 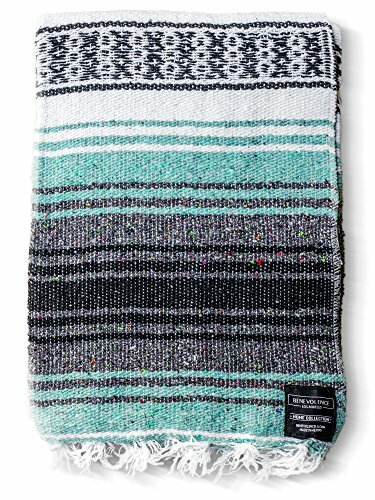 This well-made, plush $19.95 blanket made by Benevolence LA has a story behind every fiber. A portion of each purchase goes to impoverished communities in South America. Hopefully, creating a karmic circle of peace, and tranquility which flows from you to them. With the colors mint and pink, you’ll be a chic yogi that can switch from a fireside story under the stars, to Warrior Pose 2 in a matter of seconds. 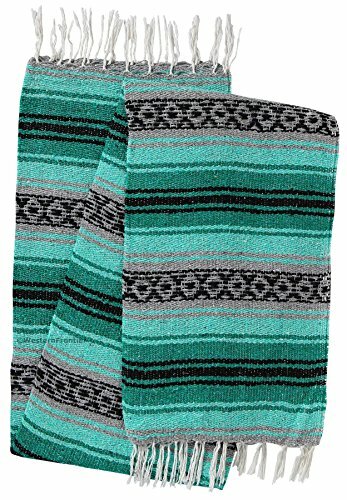 This product effortlessly converts from a couch throw, to a picnic blanket, to a shawl, to a yoga mat. Travel easily with this 2lb. falsa blanket that is made from a mixture of recycled fibers, acrylic, and cotton. For $19.99, you’ll have a choice of seven vibrant colors that will make an early morning yoga practice feel like a luxury ritual which will have you returning time after time.